In my last post, I discussed the nature of scholarly university press publications and some books I have read over the past year, along with a book I am currently working through. In this post, I will discuss some books I have received in recent months that are both scholarly books and yet books with a wider appeal. The following books are university press publications that I am currently trying to preview. 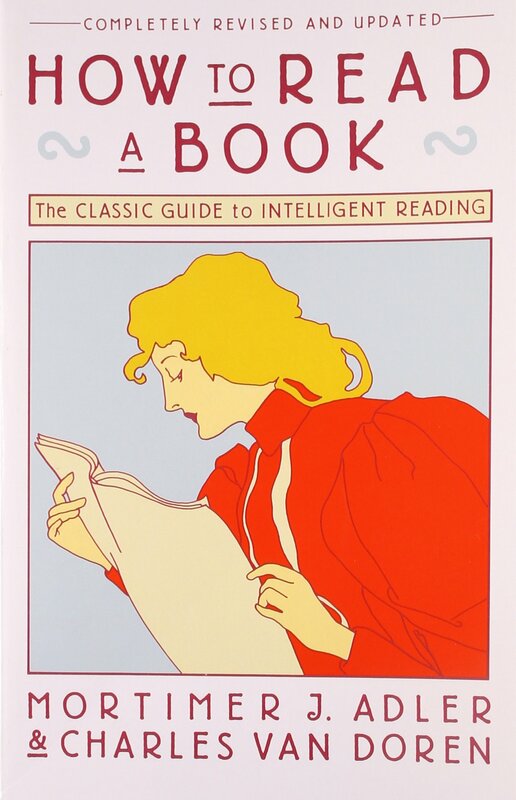 Due to having too many books and too little time, my first goal is “pre-reading.” If you have never read, use, and studied How to Read a Book by Mortimer Adler and Charles Van Doren, stop everything you are doing right now, order it, and carefully read at least the first few sections of that book. (Some say that one is better off getting the original version of the book which was just by Adler.) At any rate, pre-reading is an important aspect of getting into, embracing, and imbibing a book. Now, on to some very promising looking books. When I first read the title of this book, it was love at first sight. I even like the way it is presented: Destroyer of the gods with a lower case g in “gods.” This book is published by Baylor University Press and is reasonably price at $29.95 in hardback. Dr. Hurtado is Emeritus Professor of New Testament Language, Literature & Theology in the School of Divinity at the University of Edinburgh and a Fellow of the Royal Society of Edinburgh. Although he lives in Scotland, he was born in Missouri. He has written or contributed to quite a few books and studies on early Christianity. Part of my interest in this book comes from my current teaching on Augustine and his classic work The City of God. In our time, Christians have awakened to and devoted energy to such topics as developing a Christian worldview or learning Christian apologetics. Christianity is a warring faith, although the weapons, when used rightly, are not swords, spears, and shields. Christians are called t be in the gods-toppling and idol-displacing business. There is much to be learned and reminded of from the early centuries when Romans could not and would not countenance Christian truths. As it notes on the review at the Baylor University website, Christians were called “silly,” “stupid,” “irrational,” “simple,” “wicked,” “hateful,” “obstinate,” “anti-social,” “extravagant,” and ”perverse.” But more than insults were hurled at believers. All of the books I have been teaching in my Humanities course recount the triumph of the Christian faith. Those books include City of God (as previously mentioned), Eusebius’ Church History, and Thomas Cahill’s How the Irish Saved Civilization. I believe this book will prove quite useful and fun as I continue to read about and think about Christian confrontations with non- and anti-Christian thought. There are quite a few features to the book New Deal Cowboy: Gene Autry and Public Diplomacy by Michael Duchemin that caught my interest. First of all, I have a love for singing cowboys, old westerns, and country music. Gene Autry had basically several really successful careers. As a country-western singer (with the emphasis on the western side), he was quite successful and is in both the Country Music Hall of Fame and Songwriters Hall of Fame. The song “Rudolf the Red Nosed Reindeer,” which is anything but country or western, was his biggest hit, but not his only one. Autry was also a successful film star and was one of the leading “Singing Cowboys.” Many of his films are quite simplistic and formulaic with all the features that made westerns favorites in America for decades. What is not all that well known about Autry is that he became involved in politics. While he was an ardent New Dealer and supporter of Franklin D. Roosevelt, his impulse was more patriotic than partisan. The use of celebrities to support politicians and political causes is common today, but not new. Perhaps my strongest motive for being interested in this book has lost some of its drive. My dad served in the Army Air Corps in World War II as an airplane mechanic. He told me about meeting Autry on several occasions and about Autry’s general friendliness. Gene Autry became a pilot and was carrying supplies in the areas where my dad was repairing the planes. If I had received this book a year ago, I would have passed it on to my dad before I ever read it. In a short time, he would have returned it to me read and initialed in the back. I would have enjoyed hearing what he had to say about it. Sad to report, my dad was sick for much of 2016 and died in December. Still, when I read this book, I will be thinking of what he might have said about the book. New Deal Cowboy is published by the University of Oklahoma Press. When I was in college, I got interested in the intersection between American history and Christianity. I entered into a quest to discover how the Christian faith had affected both individual Americans and the nation and culture as a whole. For a good many years, I felt like I was finding a pebble here and there to construct a picture of a nation very much impacted by Christianity. I no longer see this as finding pebbles. I am finding huge stones. I recently received the book Reading the Bible With the Founding Fathers by Daniel L. Dreisbach, which was published by the Oxford University Press. While it is wrong to someone canonize the Founding Fathers as though they were theologians first, political statesmen second, and mere men third, it is also misguided to ignore or demean the religious influences on their lives and thought. All of these points are good ones and convincing; however, I would want to note that this book, which promises to be first rate, is not the first work to examine the issues that are given as bullet points. John Eidsmoe’s Christianity and the Constitution, M. E. Bradford’s Worthy Company: Brief Lives of the Framers, R. J. Rushdoony’s This Independent Republic and The Nature of the American System, and a whole stack of other books have already explored these topics. That criticism is not meant to diminish this book. I have read some of Daniel Driesbach’s work in the past and he is first rate. I am happy to add a large boulder to the this edifice. Most of us who are book folks are readers and collectors. We may read a lot and know quite a bit, but we are still amateurs and samplers. There is nothing wrong with being a person who loves reading. That love of books and reading translates into different things for all kinds of people. I come across shelves of books in people’s homes that include almost nothing I would want to have or read. Many of my favorite books and authors would have no appeal to them. There are, at the same time, people who are by profession and training deemed scholars. I am not one. I do, however, press my nose against the glass and watch them work. I don’t have the academic training, the acute sense of distinctions, and the narrow pursuits that characterize these people. Most academic scholars are professors and teachers in colleges and universities. They had to focus time and attention on particular specializations and prove a mastery of a subject. Sure, we might quip that a doctoral student learns more and more about less and less until he knows virtually everything about absolutely nothing. And, I can console myself in my lack of academic training by saying that my interests were too broad and that I did not want to be constrained by the strictures of academia. Maybe there is a need for someone to call academic scholars to account, but I am not that person. I like and admire and even envy what they do without necessarily regretting not following that pursuit. One thing that characterizes scholars and scholarship is writing. Men and women with PhD.’s write lots of books. University presses pour out thousands of books each year. The books range in size, topic, readability, and interest across the board in terms of topics and styles of writing. It is easy enough to find some obscure, arcane, and even dreadful topic that gets put into a book and published by an academic press. I can make up titles like Tariff Concerns in Unionization Conflicts among Irish Immigrants in New York during the 1890s, but even that title is too popular-sounding to compete with actual publications. I have quite a few sources for academic publications whose books I routinely acquire and love. I receive lots of books from Oklahoma University Press, which publishes a series called Campaigns and Commanders, which is outstanding. Any book titled The Oxford Book of __________________ gets my attention. Many southern university presses have published loads of books about the Agrarians and southern literary figures. Any time I am rifling through a stack of cheap books and find university press publications, I give those books heavy consideration. They are generally expensive. Often, they are priced completely out of range for the average buyer. $95 is not an unusual price for such books. The reason is that many such works have a limited appeal and will be purchased mainly by university libraries. It costs a fortune to publish one copy of a book, and that price decreases more and more as the number of copies increases. The best seller that goes for $25 probably costs about $3 to publish. That’s economics and the laws of supply and demand. University press publications are usually high quality in terms of paper and binding. That also is a factor that drives the price up. University press publications are usually heavily footnoted and contain lots of bibliographical material. That is usually a plus to me. University press publications are often narrow and specialized in their appeal. Is that good or bad? Depends. I really don’t want a book on the American Civil War. I already have hundreds of them. But a book on that part of the battle for Atlanta, Georgia known as the Battle of Ezra Church is of some interest. 5. Scholars who write for university presses have differing levels of writing ability and appeal to audiences. Some are scholars who write for scholars. Some are really hard for the average and non-specialized reader to follow. Many assume a degree of familiarity with the topic that most of us do not have. But there are academics, such as Niall Ferguson, Simon Schama, Thomas Kidd, and Thomas Foster, whose writing is quite enjoyable and attainable by more general readers. All that being said, let me share a few readings and studies from scholarly publications that I read and/or attempted this past year. Some time back, I got to meet Dr. Jonathan Himes who teaches at John Brown University in Siloam Springs, Arkansas. I also got to attend one of his English classes where he was teaching on Ovid. Dr. Himes has also written some scholarly works related to his teaching fields and interests. 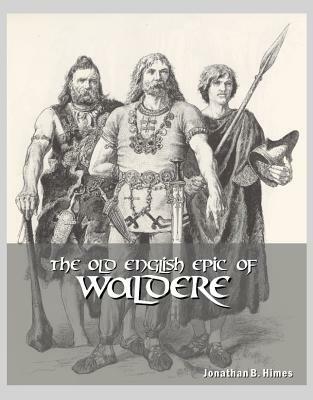 The book The Old English Epic of Waldere is one such work. No, you will not find this on the best sellers’ list or at your local bookstore. It does cost quite a bit for a small book. To offset its small size, it is really well bound and is a detailed enough read that one does have to devote some serious time to it. I am a late convert to anything Old English. In fact, I am not all that many years past that age of ignorance where I might have described the King James Bible as being Old English. (And I would have been certain that Chaucer’s work was Old English.) My teaching career hinges upon lots of repentance and lots of retracing the roots of what I thought I knew. For inexplicable reasons, I never read Beowulf in high school or college. I upbraided a high school students once who called it stupid, but even then had not read it. I now rank it as one of the pivotal and most important works of literature. I love reading Beowulf, teaching the poem, gathering translations of it, and contrasting it with the interesting movie 13th Warrior. But Beowulf is not complete and neither was it the only poem to exist in its time. The heartbreak of reading Himes’ work on Waldere is that only a small fragment of that poems exists. One can hope that some archival dig in some old library or monastery or cave in Britain will someday yield a much larger, if not complete, copy of this poem. Both poems present an England that is being slowly Christianized. Himes writes, “…the Waldere poet posits a hero who, like Beowulf, is not only the greatest champion of his people, but also the greatest moral example of the pagan world.” The greater concept of heroes is a critical one for all of life. We might tend to think of heroes as simply useful character-types for movies and certain kinds of books. But it seems as if we as people cannot exist without some sort of heroic figures. Day by day life calls for something or someone who transcends the ordinary, who inspires, leads, and models a way of handling circumstances that changes us. The Anglo-Saxons of days long gone had a rich and complex world and worldview. Tolkien upended all Beowulf studies when he argued that the poem contained structures and themes make it real literature. It was not just a glimpse into old ways of warriors. Anglo-Saxon warfare is interesting enough, and this book has a marvelous appendix devoted to weapons and wargear. This book is a really useful supplement and resource for teachers and students of Beowulf and Anglo-Saxon history. It is a fun glimpse at the scholarly work that goes into drawing out the words and meanings from a few damaged leaves of a manuscript. Dr. Himes told me that he hopes to see a cheaper, more accessible version of this work put into print. I would hope so, but until then, this small work is a useful and enjoyable gem. 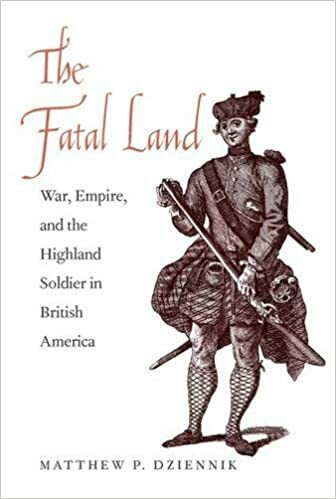 I have previously reviewed The Fatal Land: War, Empire, and the Highland Soldier in British America in this blog. Once again, I will be a name dropper and mention that I could Dr. Dziennik as a friend. What I hate to admit is that he is a model scholar to a degree that leaves me in the role of student. I suspected soon after I met him that he would begin to emerge in the world of historical research and writing. For various reasons, some of the best historians are still being trained in the United Kingdom, the University of Edinburgh in Dziennik’s case, and then they cross the pond to teach in American universities. The book’s title whets the appetite for a rousing read about kilt-wearing Scots, with pipes rousing them to a fighting pitch, plunging forth into battle and wailing away at Frenchies, Spaniards, Indians, and, awkward to admit, American Patriots. One expects a book with a Mel Gibson-like hero combining the roles of William Wallace and Benjamin Martin (the hero in the movie The Patriot). But Dr. Dziennik wrote this book as part of his research for obtaining a doctorate in history, and that labor sometimes cuts off the flow of a version of popular history that we would all like to believe. The Scots, particularly the Highlanders, have had an uneasy history within the greater British (or could we say English?) Empire. Scotland isn’t exactly the most hospitable land for surviving and thriving. The military and the prospects of land and settlement in British America were both incentives for Highlanders. In spite of the myth of the “Fighting Scots,” the Scots soldiers were not natural or inborn with martial skills. This book is a carefully researched reconstruction of what motivated and sustained the Scottish soldiers. Granted, such historical “matter of fact” may tarnish some of our love of the glory of the past, but historians are not primarily entertainers. I would encourage any serious student wanting to major in history, teach or write history, or get a graduate degree in history to carefully read this book. There is method to the manner of this book. This is the kind of research that is necessary to get behind the broad brush painting that so many of us enjoy about history. It calls for more sweat and the upending of some cherished beliefs, but that is the task of the historian. An important study of Herman Dooyeweerd can be found in Jonathan Chaplin’s book Herman Dooyeweerd: Christian Philosopher of State and Civil Society. One of the biggest questions I have struggled to answer is this: Which is harder–books written by Dooyeweerd or books written about Dooyeweerd? First, a little background. Herman Dooyeweerd was a Dutch philosopher who lived from 1894 to 1977. Since he wrote in Dutch, the process of getting his works into English and then into accessible formats has taken some time. He was a Christian with a strong Reformed (or Calvinistic) background. His philosophy is built upon Christian foundations and his school of thought is often called Neo-Calvinism (not to be confused with New Calvinism). I have been attempting to climb Mount Dooyeweerd for some years now. Each time I attack the books by and about Dooyeweerd, I get a little closer to understanding him. This particular book is one that I started a few years ago and then bogged down around page 30. Now I am making another run at this work. I plan on reading it all the way through this time. If I don’t understand it, then I will read it again–Lord willing. Dr. Dooyeweerd looks a little doubtful that I will ever make succeed in truly understanding him. The world of scholarship is extraterrestrial for me in many respects. It would be easier and more accessible if I honed in on one area. These books deal with Anglo-Saxon literature and history, British culture and the Highland Scots experience in the American colonies, and the political thought of a 20th century Dutch Christian philosopher. At the very least, I can enjoy the efforts at reading these kinds of works.